One of the first city landmarks that visitors will notice on arrival in Genoa Italy by either ferry or cruise ship is the Grande Bigo. "Bigo" as it is often called, is a modern day work of art that dominates the skyline at Genoa's Old Port. 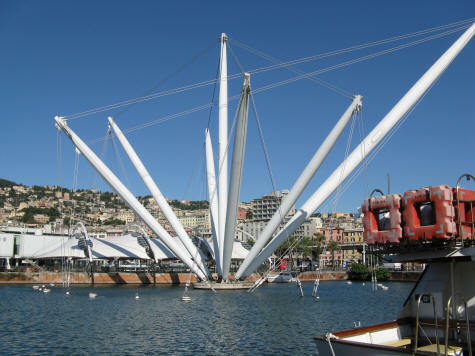 Situated near many of Genoa's top tourist attractions including the Genoa Aquarium, visitors can enjoy a panoramic view of the city from the top of the unique structure.